This writeup will be short, to summarize how to enable ipf firewall in FreeBSD. In my experience with FreeBSD 5.4, it just work very well. First, we need to enable it in the kernel configuration file. The default filename is GENERIC and located in /usr/src/sys/i386/conf/. First I make a copy of the configuration file, to BUDIHOST simply by using this command. After modification in your kernel configuration file, you need to rebuild and reinstall the new kernel with the new configuration. Please check the error or any messages prompted after the buildkernel. If there is any problem, you might need to edit your configuration file, then rebuild. After you have sucessfully rebuild the kernel, then you can install it. The firewall rules were stored in /etc/ipf.rules. You need to modify the file, to suite your production needs. This is a sample configuration file. /etc/ipf.rules . You can open any additional port yourself, the configuration is simple straight forward. Finally, Budihost server have been changed to Netmyne datacenter, in Brickfield.. Theres alot of problem while migrating, from DNS problem with Jaring, server firewall problem, and now, running smooth and sound. If you have any problem with our solutions, please do contact me. If you are looking for a dedicated server solutions, please do contact us. I have just found a website that can make a Google logo on the fly, just key in the keyword, and it will automatically generate the picture. Cool man, you should have a try on it. Now I would like to share something I have to gain more 🙂 hhee.. Since Google have come into the internet, it seems have change the whole internet. Its really wonderful actually, from the comprehensive search engine, Google AdSense, Google Earth, Google Talk, and more to come I hope. This actually a vulnerablity to the owner of the system, where Google will reveal your confidential file. But, there is a solutions for system owner, using GHH – The “Google Hack” Honeypot. It will simulate the unsecure page, as if it is the vulnerable page, avoiding attackers from the actual possible vulnerable file. The search string used to search a keyword farhan in site sbudi.net. >WOMAN: Why not – don’t you like being married? >WOMAN: Then why wouldn’t you remarry? >MAN: Okay, I’d get married again. >MAN: She can’t use them; she’s left-handed. www.alif.com.my, have just being uploaded, and now visible for all user. But it still under construction, already open for registration, but not full with content yet. The website is for all nasyid fans in Malaysia, concentrating on Malaysian nasyid artist. The website hope to serve users with latest information about nasyid concert, and any album release of any nasyid group. This website hope to be the nasyid portal, where it will be supported by all nasyid group in Malaysia such as Raihan, Rabbani, Hijjaz, InTeam, NowSeeHeart, Mestika, Brothers, UNIC, Mirwana, Far East, One Faith and many more. ALIF need a dedicated team to cooperate and work together, to develope, to enhance the feature, and add news and events to be shared with all its members. Anyone interested please contact us, using our contact page. I have a problem with my snort database. I have run snort for a few month, and the data logged have reach of to 400MB of alert. So, now, I want to download it back to my own pc, so that I can navigate through it faster, instead of using the slow internet connection, navigating using ACID interface.. I deal with mysql using command line interface, to backup and restore mysql database. and it will then show you the true path of mysqldump. Then I can download the file using Internet Download Manager, for faster download using direct link. Hope this help you to do backup and restore for your database. With free web hosting, going about marketing is much easier, particularly when there are only a few online jobs left as all are availing adsl. These few days IIUM and the surrounding area still have water disruption, and many students have leave the campus to go back to their home town. IIUM cancel all classes from Monday and the class will continue on Thursday.It is due to water plant been contaminated by of oil from an accident at KM 25 Karak Highway. The plant have to be cleaned and it now have been at last phase perhaps. Some rumours said the plant have already being cleaned now, just waiting for the water to filled up and supplied to the affected area. All my friends also went outside, stay with friends around Kuala Lumpur. Me? stay and and survive 🙁 Even my close friend from Kedah, also went to aa friend’s house in KL. Hope she’s happy to take shower everyday without any hassle 🙂 Remember to come back here huh, we have class in Thursday. hehe.. I have setup ntop previously and I have to secure the page using .htaccess and .htpasswd file. Upload them to your folder. You should put your .htpasswd out from the apache accessable file. Your user might just view your encrypted password easily, and make sure the path of .htpasswd in .htaccess file is correct. Upload them using ASCII instead of Binary. You can use this website to create your .htaccess and .htpasswd files. It can generate the encrypted password for you. 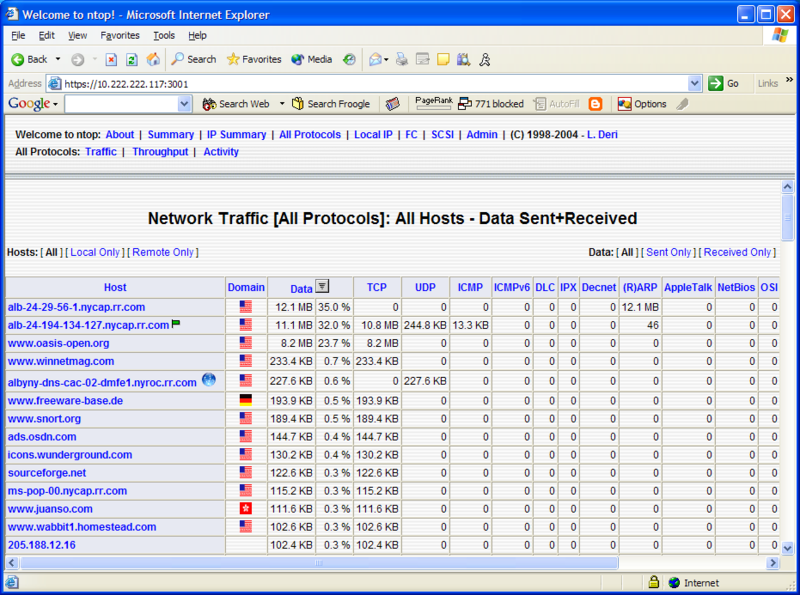 The is a tool, ntop, a tool that will give you statistic of your server. I keep wondering myself how much data have been transfered so far, and how much throughput rate d I get with this current provider. Now, ntop come and I get to install it in my server. My main reference was this book, Linux Server Hacks, by Oreilly written by Andrew Lockhart, hacks #63 as well and written by Rob Flickenger in Network Security Hacks by Oreilly, hacks #64. Rob Flickenger also discuss about the same thing. The article look indentical, just the ilustration look different. Mr Lockhart refering to Flickenger’s writing actually. I downloaded Ntop into /usr/port/distfiles/ and extract it to /usr/port/distfiles/ntop-3.2rc1/. Before installing ntop, I just added a user ntop with group ntop. Ntop need to use gmake instead of make. I have tried using make install command, and it will show an error. After installing, it have automatically created /usr/local/etc/ntop/ and all the default ssl sertificate file have been there. These are default certificate, and you can also create a new certificate, sign it your own. Now I just have to initialize ntop database and set an adaministrative password. Ntop use round robin database, which is a good database for storing traffic report and logging. The main advantage of this database is it will not grow and fill up your harddisk. New entry will remove the old entry out. 10/Sep/2005 20:30:23 Started thread (1026) for network packet analyser. 10/Sep/2005 20:30:23 Started thread (2051) for idle hosts detection. 10/Sep/2005 20:30:23 Started thread (3076) for DNS address resolution. 10/Sep/2005 20:30:23 Started thread (4101) for address purge. 10/Sep/2005 20:30:29 Admin user password has been set. The tools just works fine in my FreeBSD 4.11 server. By now it already run for 3 days and 6 hours. At first when my ntop aged around 2 days, the page will load very slow, it take up to 1 hour to load. I dont know what happen. Now, it works just fine, and it can display all the graph nicely. 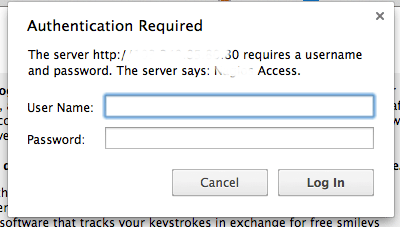 By the way, you might want to secure your page avoiding other people from viewing your server statistic. The best and simple solutions is using .htaccess and .htpasswd file. Please refer to my next blog entry, on securing folder using .htaccess and .htpasswd file.